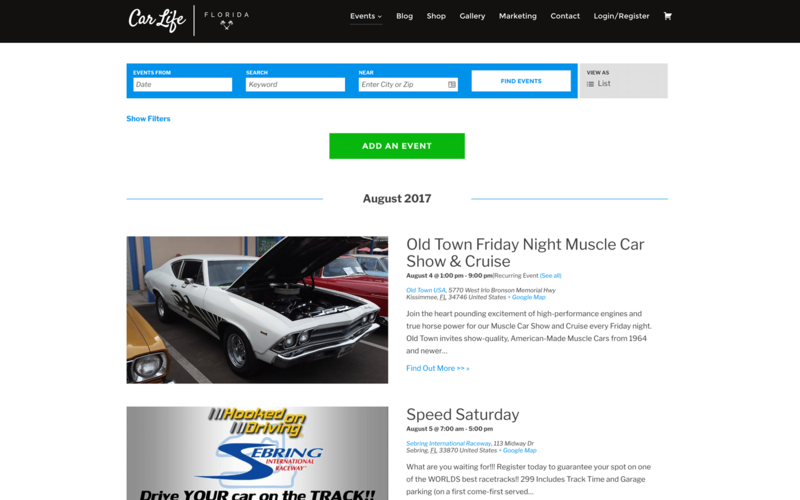 CarLife Florida is a car show location aggregator for the community to use to locate their local car shows and events. It was started with the purpose of bringing the community together around a love of automobiles. 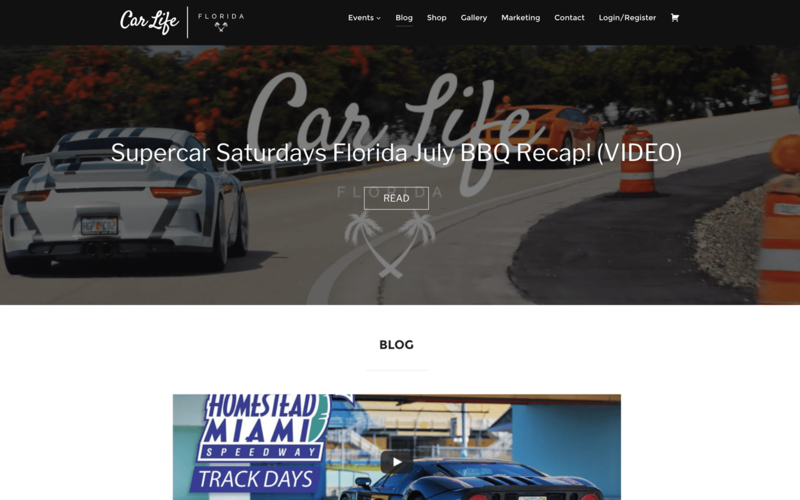 Having a strong following on Instagram, CarLife Florida, needed a place to reach its fellow car enthusiasts in a holistic manner. They wanted a place to sell gear, advertise car shows, and bring overall camaraderie to the car show community. 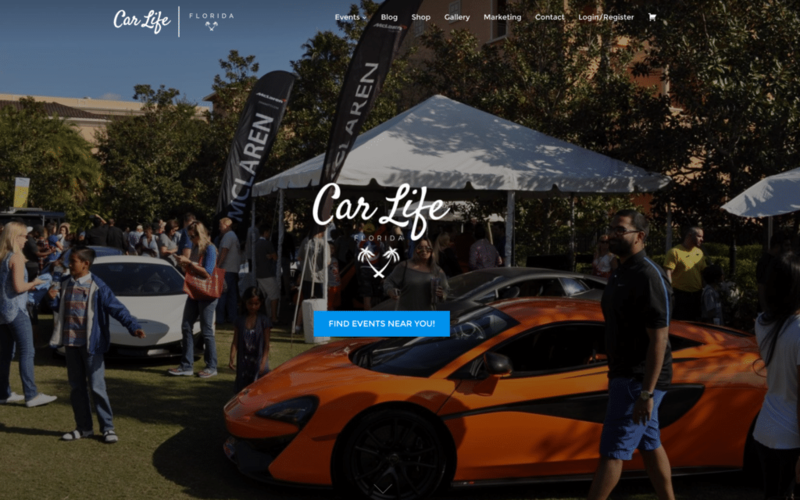 Taking the following CarLife Florida had on Instagram and building a responsive, well-designed website was just the first step. 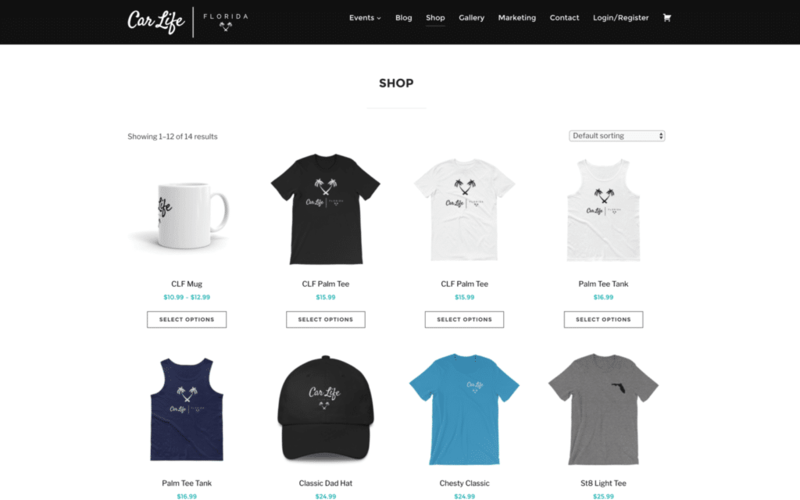 After the site was launched we built an E-Commerce store for gear and swag. 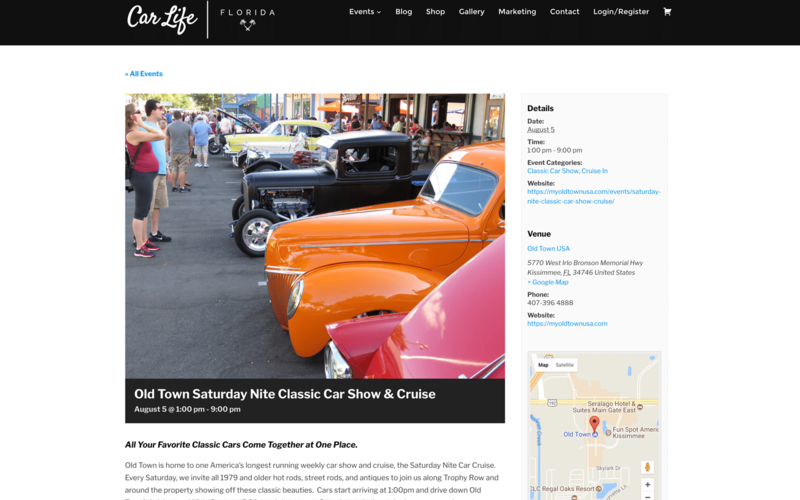 We also worked with CarLife on building up their organic presence online. Marketing, Analytics, and Maintenance does not have to be difficult. Let us help analyze your business and set you on the path to success. Our knowledgeable team is ready to build your business organically. If you're ready to grow you business, contact us today.